Southern Academic Primary Care Research Unit (Monash University School of Primary Health Care, South Eastern Melbourne Medicare Local, Monash Health), Dandenong, Victoria, Australia. Department of General Practice, School of Primary Health Care, Monash University, Notting Hill, Victoria, Australia. Background Refugees and asylum seekers often struggle to use general practice services in resettlement countries. Aim To describe and analyse the literature on the experiences of refugees and asylum seekers using general practice services in countries of resettlement. Design and setting Literature review using systematic search and narrative data extraction and synthesis methodologies. International, peer-reviewed literature published in English language between 1990 and 2013. Method Embase, Ovid MEDLINE, PsycINFO, CSA Sociological Abstracts, and CINAHL databases were searched using the terms: refugee, asylum seeker, experience, perception, doctor, physician, and general practitioner. Titles, abstracts and full texts were reviewed and were critically appraised. Narrative themes describing the refugee or asylum seeker’s personal experiences of general practice services were identified, coded, and analysed. 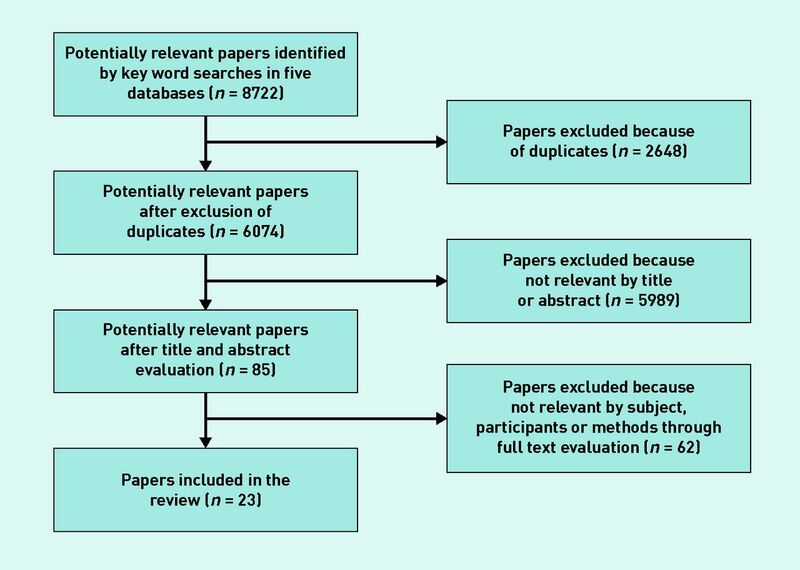 Results From 8722 papers, 85 were fully reviewed and 23 included. These represented the experiences of approximately 864 individuals using general practice services across 11 countries. Common narrative themes that emerged were: difficulties accessing general practice services, language barriers, poor doctor–patient relationships, and problems with the cultural acceptability of medical care. Conclusion The difficulties refugees and asylum seekers experience accessing and using general practice services could be addressed by providing practical support for patients to register, make appointments, and attend services, and through using interpreters. Clinicians should look beyond refugee stereotypes to focus on the needs and expectations of the individual. They should provide clear explanations about unfamiliar clinical processes and treatments while offering timely management. For primary care to be more responsive to the distinctive needs of refugees and asylum seekers, a better understanding is required of the specific difficulties they experience with services.11 While perceptions of care are also influenced by personal expectations, listening primarily to narratives of experiences provides a stronger grounding in health services reality.12 Although there have been studies describing individual experiences at health services, at the time of this study there were no peer-reviewed literature reviews available on this subject. Therefore, the aim of this study was to describe and analyse what is known in the international, published literature about the experiences of refugees and asylum seekers concerning GP services in resettlement countries. This is to inform primary care service providers, planners, policy makers, and researchers. Although it is known that refugees and asylum seekers struggle to access and use general practice services in resettlement countries, there is limited published literature from the refugee perspective on the reasons why. This literature review collates, analyses, and synthesises what has been published in 23 papers concerning the experiences of 864 refugees and asylum seekers in 11 countries, to inform the delivery of general practice to this vulnerable population. Two investigators conducted the searches, extractions, and analysis with assistants. Discordant results were resolved by consensus. The search strategy used five electronic databases covering primary health care and human experience literature: Ovid MEDLINE®, Embase, CINAHL, PsycINFO, and CSA Sociological Abstracts. The search terms were a combination of refugee* or asylum seek*, and one of: doctor* or physician* or general practi*or experience* or perception*. The full text of each paper was loaded into NVivo 9 software. Narrative themes of experience were identified de novo from each paper and coded by the investigators. Individual themes were clustered into key themes, which were then re-checked across all papers and synthesised to produce coherent findings. Thirteen papers focused on refugees, three on asylum seekers, and seven combined both. Because of limitations in distinguishing clearly between the population groups in the data, the results are presented here as a combined group, hereafter known as ‘refugees’. All selected studies used qualitative methods and collected data through interviews with individuals, families, or focus groups. Many used a grounded theory approach to analysis. No quantitative studies met the full inclusion criteria. Four recurring narrative themes emerged from the literature: difficulty accessing services, language barriers, poor doctor–patient relationships, and problems with the cultural acceptability of medical care. In this review, four common and interrelated themes emerged concerning refugee experiences of general practice care: difficulties accessing services, language barriers, poor doctor–patient relationships, and problems with the cultural acceptability of medical care. Refugees experienced a wide range of difficulties accessing GP services related to limited knowledge of how to access services, difficulties registering and making appointments, inadequate transport, and unaffordable service costs. Although provision of practical support and fee subsidies was beneficial, multiple strategies are required to address access difficulties. Spoken and written language barriers were commonly experienced and had a significant impact across many aspects of care. Although refugees used professional interpreters, family, and friends to assist with communication, there were problems with their availability and concerns about accuracy and confidentiality. Gender concordance, trusting relationships, and using the same person to interpret at each visit were beneficial but did not fully negate the primary concerns. The relationship with the doctor was problematic when the refugee did not feel valued or respected as an individual person. They preferred to see doctors who were friendly and welcoming; those who showed an interest in, listened to, and understood them; those who spent adequate time with them and with whom they developed trust. Stereotyping as a refugee, discrimination as a migrant, and cultural insensitivity were particular concerns of this population that needed to be addressed in the relationship. The nature of clinical assessments and treatments were not well understood or accepted when pre-existing beliefs about health and expectations of health care were not met. Refugees preferred clinical assessment methods to be consistent with cultural expectations and explanations of unfamiliar processes and treatments. They welcomed education and lifestyle advice but not at the exclusion of prescription medicines or timely access to specialist doctors. Of the three papers that focused exclusively on asylum seekers, the common themes included a lack of available interpreter services, inadequate cultural competency, and difficulties with the cost of medical care.18,35,39 These themes were very similar to those expressed by the broader population of refugees. Further research studies focusing on the distinctive needs of asylum seekers may be helpful in understanding their unique experiences of care. The included papers used qualitative methods to describe a breadth of refugee experiences and were in sufficient quantity to identify and illuminate recurrent narrative themes. Although there was a wide range of participants from various ethnic groups in multiple resettlement countries, the limited number of papers did not allow for conclusions concerning the experiences of specific ethnic groups or country contexts. Future research should include publishing more studies of refugee experiences of GP services in each of the settlement countries. Focusing on specific ethnic groups would assist to elucidate cultural differences. A ‘grey’ literature review of this subject would complement existing findings. Mindful that each country has different healthcare systems and policies relating to refugees and asylum seekers, support should be given to refugees to better understand how to access GP services, and to be able to register, make appointments, and attend services. Support should be given to GP clinics to provide professional interpreters to patients when needed. GPs should take care to look beyond refugee stereotypes, value the individual, and focus on his or her needs. They should provide clear explanations of unfamiliar clinical assessment processes and treatments while providing timely management that is mindful of patient expectations. These findings have broader implications for medical education, professional standards, health system policies, and wider research to support the delivery of quality GP services to refugees and asylum seekers. The authors acknowledge Leon Piterman, Chris Anderson, Anna Chapman, Samantha Thomas, Grant Russell, Joanne Enticott, Surabhi Kumble, Jessica Dumble, and the staff of the Monash University Hargrave-Andrew Library and the Royal Australian College of General Practitioners John Murtagh Library. The Southern Academic Primary Care Research Unit is an organisational partnership of Monash University, South Eastern Melbourne Medicare Local and Monash Health. This project has been supported with funding from the Australian Government Department of Health under the Primary Health Care Research Evaluation and Development (PHCRED) Initiative. Revision requested April 29, 2014. (2012) UNHCR Global Trends 2012 (UNHCR, Geneva). (2000) Refugees, asylum seekers, and general practice: room for improvement? Br J Gen Pract 50(456):531–532. (1998) Refugees and primary care: Tackling the inequalities. Br Med J 317(7170):1444–1446. (2011) Primary care for refugees. Am Fam Physician 83(4):429–436. (1998) Primary care: balancing health needs, services and technology (Oxford University Press, New York, NY). (2005) Refugee health. Aust Fam Physician 34(10):825–829. (2009) Asylum seekers, refugees, and the politics of access to health care: A UK perspective. Br J Gen Pract 59(567):765–772. (1996) Convention and protocol relating to the status of refugees (UNHCR, Geneva). (2006) Access to health care for people seeking asylum in the UK. Br J Gen Pract 56(525):306–308. (2011) Access to primary health care services by community-based asylum seekers. Med J Aust 195(4):188–191. (2013) Patient experience of primary health care (Primary Health Care Research and Information Service, Adelaide). (2005) Patient perceptions of the quality of health services. Annu Rev Public Health 26:513–559. , eds (Mar, 2011) Cochrane handbook for systematic reviews of interventions. Version 5.1.0, The Cochrane Collaboration, updated http://www.cochrane-handbook.org (accessed 18 Dec 2014). , ed (2006) The SAGE dictionary of social research methods (SAGE Publications, London). (2003) Metasynthesis: the state of the art so far. Qual Health Res 13(7):893–904. (2007) Guidelines for critical review form: qualitative studies (version 2.0) (McMaster University, Hamilton). (1999) Health care access for Somali refugees: views of patients, doctors, nurses. Am J Health Behav 23(4):286–292. (2011) Barriers to health care access among refugee asylum seekers. J Health Care Poor Underserved 22(2):506–522. (2007) Caring for Somali women: implications for clinician-patient communication. Patient Educ Couns 66(3):337–345. (2009) Healthcare barriers of refugees post-resettlement. J Community Health 34(6):529–538. (2010) Somali immigrant women and the American health care system: discordant beliefs, divergent expectations, and silent worries. Soc Sci Med 71(2):353–361. (2003) Bosnian immigrants’ perceptions of the United States health care system: a qualitative interview study. J Immigr Health 5(2):87–93. (2012) Refugees’ perspectives on barriers to communication about trauma histories in primary care. Ment Health Fam Med 9(1):47–55. (2012) A study of Iranian immigrants’ experiences of accessing Canadian health care services: a grounded theory. Int J Equity Health 11(1):55. (2007) Experiences of refugees and asylum seekers in general practice: a qualitative study. BMC Fam Pract 8:48. (2007) ‘Lost’: listening to the voices and mental health needs of forced migrants in London. Med Confl Surviv 23(3):198–212. (2004) Ethiopian Refugees in the UK: migration, adaptation and settlement experiences and their relevance to health. Ethnic Health 9(1):55–73. (2007) They think we’re OK and we know we’re not. A qualitative study of asylum seekers’ access, knowledge and views to health care in the UK. BMC Health Serv Res 7:75. (2008) Asylum seekers’ expectations of and trust in general practice: a qualitative study. Br J Gen Pract 58(557):870–876. (2009) Arranging and negotiating the use of informal interpreters in general practice consultations: experiences of refugees and asylum seekers in the west of Ireland. Soc Sci Med 69(2):210–214. (2007) Afghan refugees and their general practitioners in the Netherlands: to trust or not to trust? Sociol Health Illn 29(4):515–535. (2007) Worries are the mother of many diseases: general practitioners and refugees in the Netherlands on stress, being ill and prejudice. Patient Educ Couns 65(3):369–380. (2001) In search of community: a quest for well-being among Tamil refugees in northern Norway. Med Anthropol Q 15(4):493–514. (2011) Experiences of the Swedish healthcare system: an interview study with refugees in need of long-term health care. Scand J Public Health 39(3):319–325. (2005) Clinician/patient connections in ethnoculturally nonconcordant encounters with political-asylum seekers: a comparison of physicians and nurses. J Transcult Nurs 16(4):298–311. (2006) Somatisation: Illness perspectives of asylum seeker and refugee patients from the former country of Yugoslavia. BMC Fam Pract 7:10. (1996) Health needs of Cambodian and Vietnamese refugees in Porirua. N Z Med J 109(1031):381–384. (2003) Experiences with the medical and health systems for Somali refugees living in Hamilton. N Z J Psychol 32(1):27–32. (2003) Bosnian and Soviet refugees’ experiences with health care. West J Nurs Res 25(7):854–871. (2006) Potential barriers to the use of health services among ethnic minorities: a review. Fam Pract 23(3):325–348. (1998) A systematic review of the literature on patient priorities for general practice care. Part 1: Description of the research domain. Soc Sci Med 47(10):1573–1588.